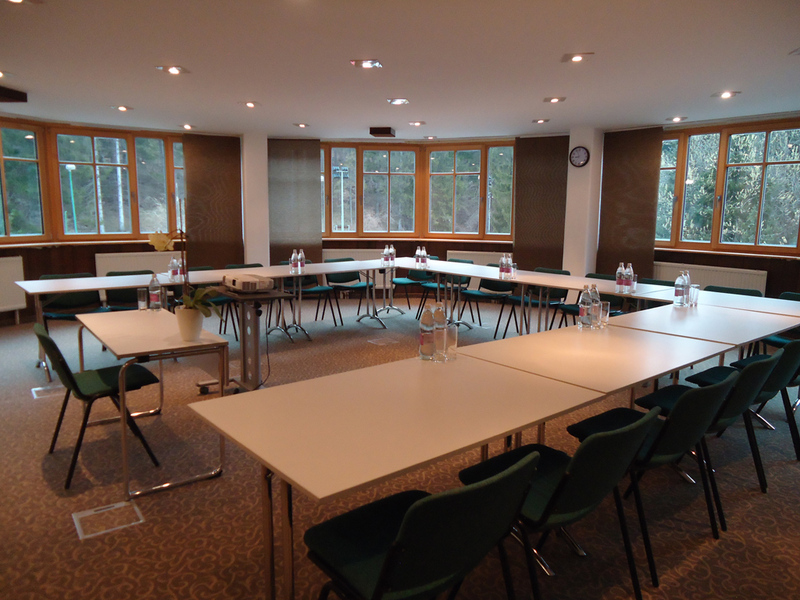 Due to its quiet location on the fringes of the forest and the positive energy which rules in this idyllic corner, the Ribno Hotel is an especially popular venue for educational meetings and internal reunions. It is also ideal for teambuildings and incentives, as the possibilities for supplementary programmes are numerous in the immediate vicinity. The wellbeing of the organisers and delegates is ensured by excellent cuisine, professional service and friendly support in every aspect of your business meeting. Price includes accomodation with breakfast per night, free wi-fi, VAT included. Technical equipment included : LCD projector, screen, flip chart, Internet connection. Buffet lunch or dinner in Hotel Ribno in case of minimum 15 guests. Price is 15,00 € / person. Activities are appropriate for specific groups and companies who would like to spice up their meeting with sporting and fun activities. They serve as a unique addition to the seminars and contribute to better motivation for work. Activities can be adapted so they include TEAM BUILDING work. All activities are made in consultation with the client and are based on the advice of our instructors, who make sure the program corresponds to the wishes of the client! Team building academy TBA.SI will take care of your team spirit.